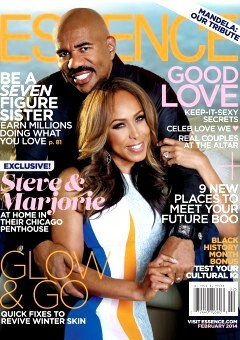 The cover of the February issue of Essence Magazine features comedian, author, relationship expert, and talk show host Steve Harvey and his wife Marjorie. Steve gets personal and discusses his relationship with Marjorie. Steve currently hosts three shows: the syndicated radio show, The Steve Harvey Morning Show; Family Feud; and his daytime TV talk show, The Steve Harvey Show. Along with stand up comedian gigs and two best-selling relationship books. After enduring a few life challenges and successes, he reconnected in 2005 following the dissolution of his second marriage and six-year run as star of the sitcom The Steve Harvey Show. The two married two years later. This one is personal to me. I have come across great men throughout my dating life, before marriage and now divorced that have express their interest in pursuing me. However, the men felt they were not ready. This could be due to immaturity, financial reasons, hectic travel schedule, recently ending a difficult union, or focus on reaching a career milestone. The noble men, like Steve Harvey upon realizing they were not ready, disappeared, let me go to conquer life’s challenges that lie before them but still remain in touch. Some men, in fear of losing their woman “me” let the relationship dwell on or tried to have their cake and eat it too. This resulted in disappointment. Two people frustrated at one another, me for time wasted and the steady stale state the relationship was going. My pressuring would leave my mate frustrated with my time-table, demands and selfishness. The admirers who disappeared and let me go, always came back when they were ready when the interest was genuine. The men knew the risk of letting someone go. In some instances I was in another relationship, or due to my immaturity had some hurt feelings for the initial separation. While timing may have been off, the gents always came back. If a union could not be made, a life-long friendship was created. Through maturation, I have respect for those men. These gents selfish desires were put aside for the best interest of their mate. As a divorcee, I have recently met fantastic gents that have reciprocated their interest, but the timing has been off. A bit more mature than in my 20’s I attempt to understand the gent’s point of view that echoes Steve statement quoted above to Essence. However, these men are now in their mid-30’s/ early 40’s. I struggle with the notion that these great men are not ready to pursue a meaningful relationship because they feel certain milestones have not been achieved before they would consider marriage or exclusivity. I realize I cannot win this argument and have to move on. I can understand a man saying this in their 20’s and early 30’s, but it is a bit harder to conceptualize this when these men have never been married and are embraced in their bachelor ways. While married, my ex-husband and I were always working to become better people. This does not stop when two ambitious people come together. What happen to working together to attain those goals? However, everyone has their own unique time-table. So when the timing is off, just let it go. If it is meant to be, it will happen! Previous PostAs Published on WSSNEWs: The Linkage Between Trust and CommunicationNext PostFather Sentenced to Jail for Exceeding Child Support and Visitation? My Insights! 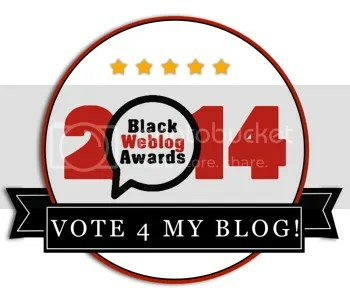 Hi there, I cheсk уoսr blogs like every week. Thank you for your support and feedback. If you want to know everytime I post, please subscribe via email. Again, thank you. It’s been a while, so you may not get this, but I just read this article and recently let go of a man I thought was truly my king. I’ve been struggling with this decision for a couple days now. He met all the qualifications, but then he hit me with the “i’m not ready for a relationship”. We were long distnace (3 1/2 hours), So I tried to be patient with him. Needless to say, things only got worse, and another woman came into play 😦 He felt that since we were just dating, and he was honest about him not wanting to commit, he should be able to see other women. I didn’t take it personal when I had to let him go. I just realized that we were in two different places and I wanted something different. Reading this gave me the confirmation I needed to be ok with letting him go and moving on, so thank you for sharing your experiences. BTW, I’m 40 and he’s 44, so at this stage, NO WAY AM I ON THIS DATING AND SHARING MY MAN CRAP!!! I definitely can relate to your story. I also was caught hanging on a bit too long with a man who is 44 years old that said the same thing. While I respected his space of not ready for a relationship and moving on myself, we remained friends and it was noted that there was a connection. Well— come to find out he had a main girl in his life the entire time I knew him. While he may not have known whether he was ready to be 100% committed to her it was hurtful knowing that. What I have learned from this dating experience and others- If a man says he is not ready for a relationship, listen to him and move forward. Yes you can remain friends but don’t stop your dating life for that particular person. If he decides that he wants you to be a part of his life he will make it known. Good luck! Dating is challenging. Focus on your happiness within and continue to build solid friendships and meeting new gents. Hello there, I do believe your blog might be having internet browser compatibility issues. Whenever I take a look at your website in Safari, it looks fine but when opening in I.E., it’s got some overlapping issues. I just wanted to give you a quick heads up! Aside from that, great blog!